2011 Audi R8 Spyder in Phantom Black Pearl with Black Soft top and matching Black Leather Interior with less than six thousand miles on it. 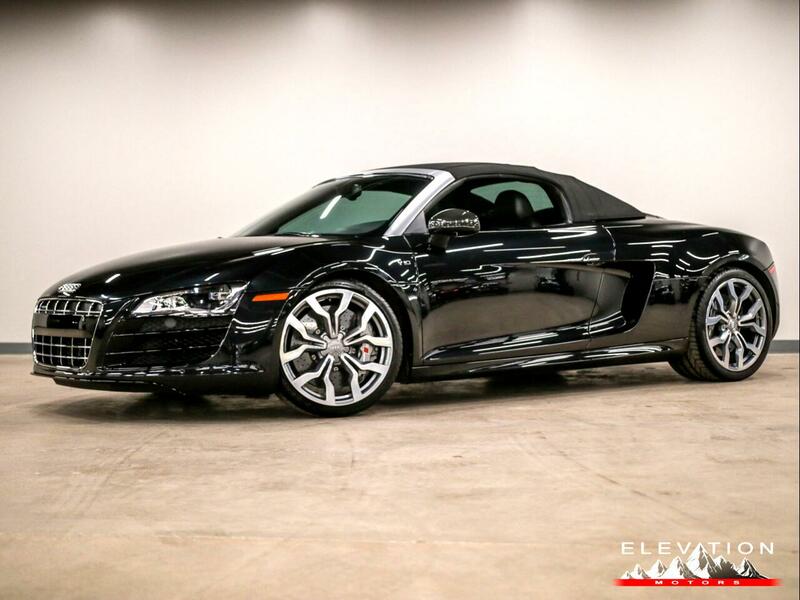 This particular R8 has a rare and highly desirable gated 6-Speed Manuel Transmission some of the options included are Polished 19" 10-Spoke Y Design Aluminum Alloy Wheels, Carbon Fiber Sigma Exterior Mirrors, Carbon Fiber Sigma Door Sill Inserts. Other features in Bang & Olufsen, Navigation, Rear Back up camera.